Current students with a valid LTCC identification card will soon be able to ride all local transit services at no charge during the academic year ending June 30. Lake Tahoe Community College students will soon have a leg up when it comes to getting around the South Shore. 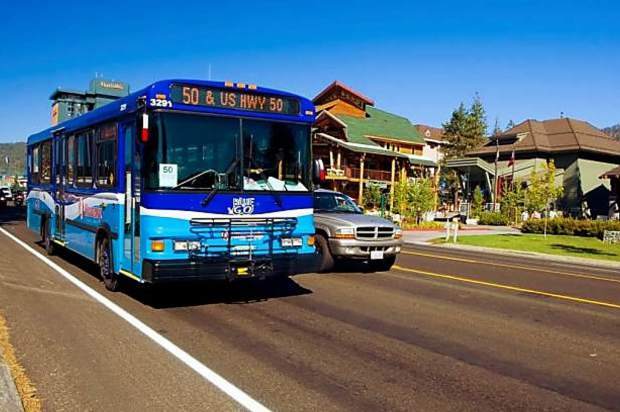 Earlier this month, the Tahoe Transportation District Board of Directors approved a funding agreement with the college to allow current students with a valid LTCC identification card to ride all local transit services at no charge during the academic year ending June 30. The agreement is a pilot partnership between the college and Tahoe Transportation District. In exchange for the rides, LTCC is paying $36,000 to TTD for mitigate administrative, operational and capital costs. The cost represents a rough estimate, as neither the college nor TTD have data on student ridership. As part of the pilot program, TTD will track student ridership to help guide future partnerships. Additionally, as part of LTCC’s on-campus transportation hub, there are plans in place for a bus shelter replacement project that leverages TTD’s funding for safety and security improvement projects. The funding agreement between the Tahoe Transportation District and Lake Tahoe Community College will be effective starting Nov. 1, and allow TTD to operate and administer the transit system to provide regularly scheduled free-to-rider public transportation service linking Lake Tahoe Community College with the South Lake Tahoe area. Those with a current, valid LTCC identification card will be permitted to ride all local transit services at no charge during the academic year. LTCC identification cardholders are not eligible to ride out-of-basin transit services such as commuter and Valley routes free of charge.